Kochi: The Travancore-Cochin Medical Council (TCMC) is planning to suspend the registration of Shahjahan Yousaf Sahib, managing director of Al-Shifa Hospital for Piles after finding out that he gave a fake MCI certificate to get himself registered with the said council. The panel also found that the degrees submitted by the said person were fake, and that he was using the title “MD Physician’ based on his degree procured in Russia (which is equivalent to MBBS in India, after clearing the screening exam.) The council noted that he did not submit any additional qualifications to the council, and when summoned by the council in person, sent a lawyer to represent him. 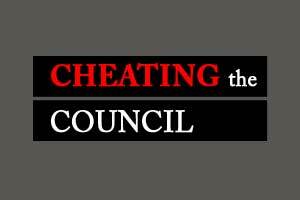 It is reported that while the disciplinary committee also recommends police action against the person for cheating the council, the final call will be taken after the council meeting on November 10. Medical Dialogues team had earlier reported that after receiving the number of complaints against MD of Al-Shifa hospital, the Indian Medical Association, local branchhad formed a committee to look into the matter, which found various discrepancies in the medical degrees and registration of Shajahan Yoosaf Sahib. Based on the enquiry, the committee found substance in the allegations of forgery, false documentation, and cheating by the hospital MD. He apparently completed the higher secondary education in 1992, but was registered for a homoeo diploma in 1987 with the Homoeo Medical Council. Moreover, there was also over-lapping of dates of house surgency and post-graduate training in Russia. Further more, the hospital’s brochure said he had been practising since 2002, whereas he got registration only in 2007, as per the preliminary inquiry. The IMA committee then revoked his IMA membership and forwarded the recommendations to various authorities including the police and the state medical council. It is reported that the police had also raided the Al-Shifa Hospital for Piles recently to inspect the allegations of illegal happenings in the hospital. Its idiotic act from IMA.ALL doctors those who have obtained degree from india,have a stupid union by name IMA.the purpouse and its ethics have been long ago. Now that they have a old group saying IMA which never supported any doctor from other countries..leave it..i will agree with IMA PEOPLE if it has guts to eliminate RMP from rural areas and provide the rural people proper medical care.does Ima take this challange? Disgusting. Such persons deserve exemplary punishment. Disgusting comment mr.u r a doctor not a competator.